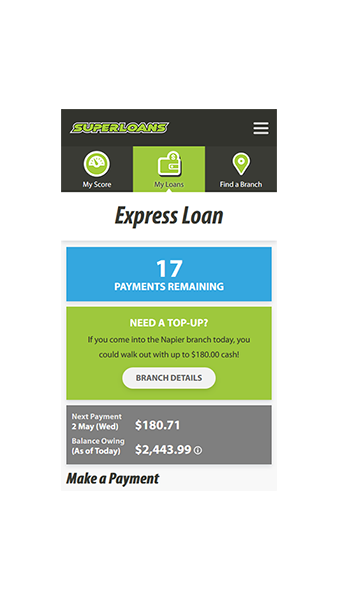 New customer to Superloans? Your first loan is free. Take out a loan of up to $500. No interest or fees. We give you the ability to borrow short term funds in a quick and easy way. An unsecured instant cash loan with easy repayments in line with your pay. against an item you own. A $1,000 loan with an interest rate of 2.67% per week, establishment fee of $87, administration fee of $36, and interest of $171.63, repaid by 10-weekly payments will have a total payable of $1,294.60. The APR of this loan is 153.6% per annum. 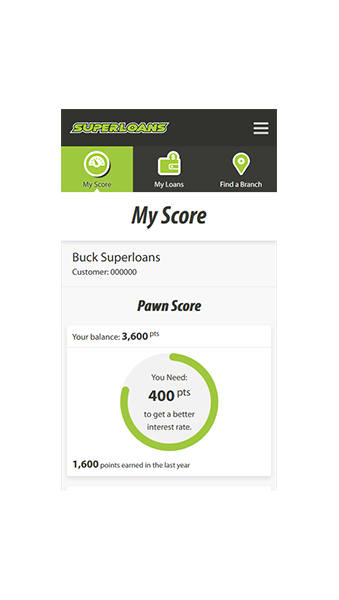 Super Score rewards you for making Express Loan payments on time and redeeming your Pawn Loans. 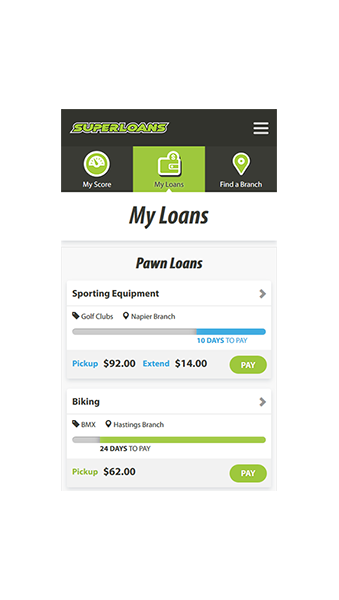 See the time remaining on your Pawn Loans, and extend the term if you need more time. View your balance, and keep on top of your upcoming payments. If you need more cash, you can easily see when you can top-up. 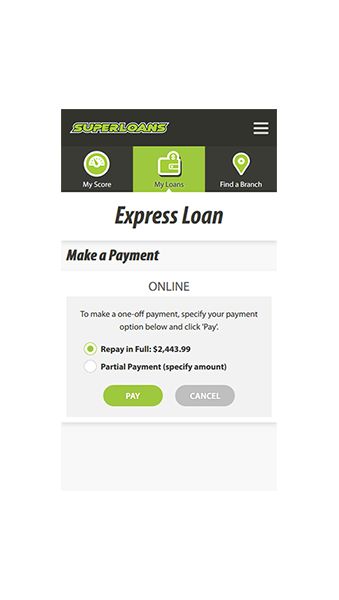 Quickly and securely make additional payments direct from your bank account. 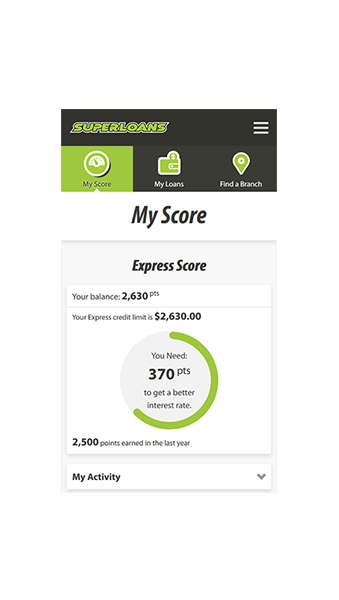 Watch your Super Score go up and your credit limit increase as you make your loan repayments. Below are some of the common questions we get asked. If you can't find your answer there you can chat with us or contact us. View our awesome auctions starting at $1 reserve.